Cut the leeks widthways into 2 segments, each about 10 cm long and wash well. Lay all of the leeks on the bottom of a large shallow pan and add the bay leaves, garlic, stock, oil and about 250ml of water, so that the leeks are half covered in liquid. Add 3/4 tspn of salt and some black pepper, place on a medium heat and simmer gently for about 30mins or until a knife can be inserted into the leeks without any resistance. 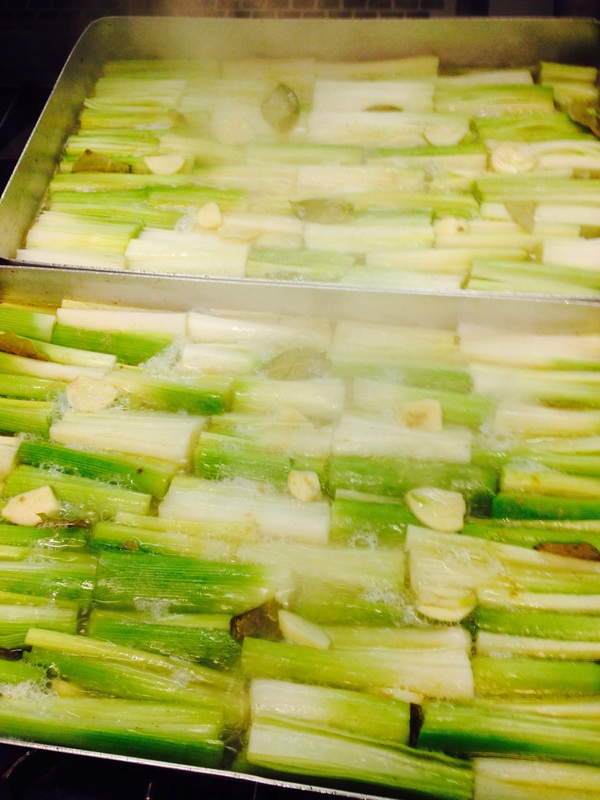 Turn the leeks over once or twice during cooking so that are cooked evenly.